Happy Monday!! 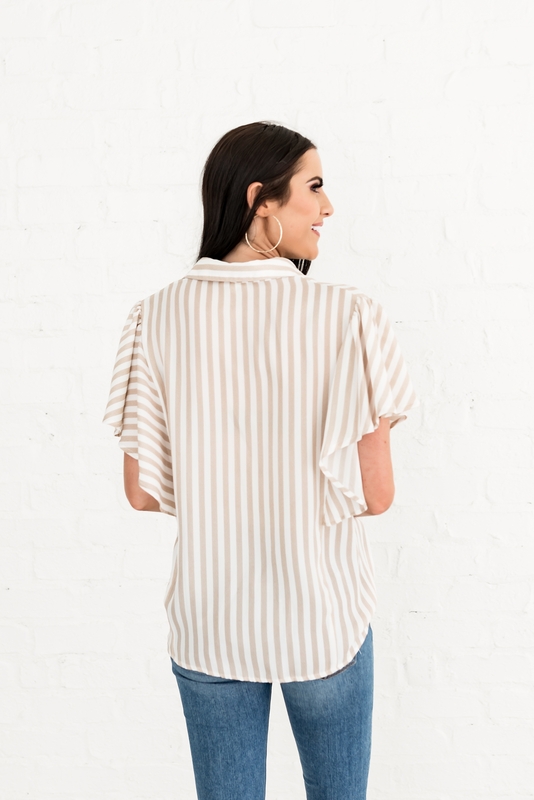 I love dressing for fall and am so excited for these new RP Everyday Shop Arrivals. 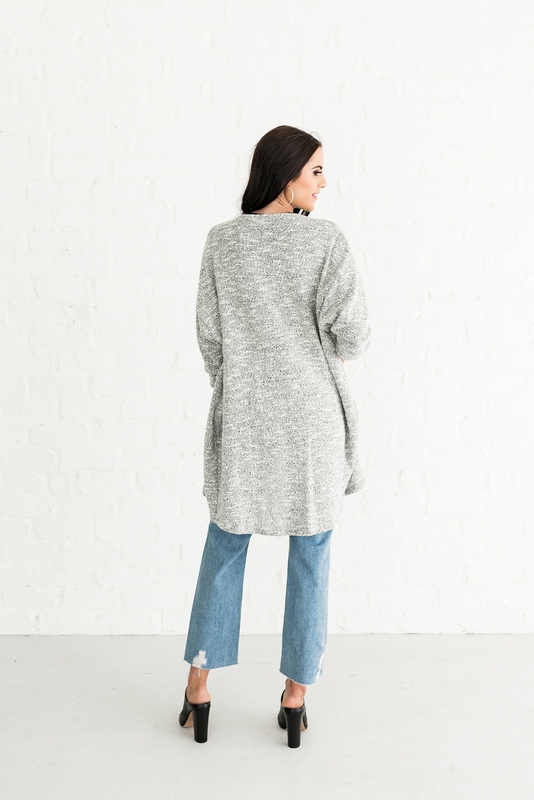 These pieces are perfect for wearing in between seasons and all through fall. 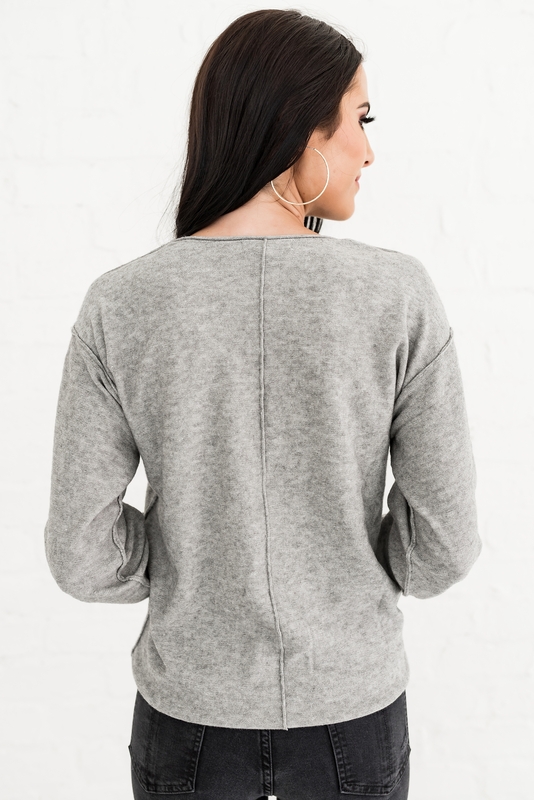 We brought back one of my favorites, the Essential Everyday Tee in both Heather Gray and Black. One of my wardrobe staples is a great fitted tee. 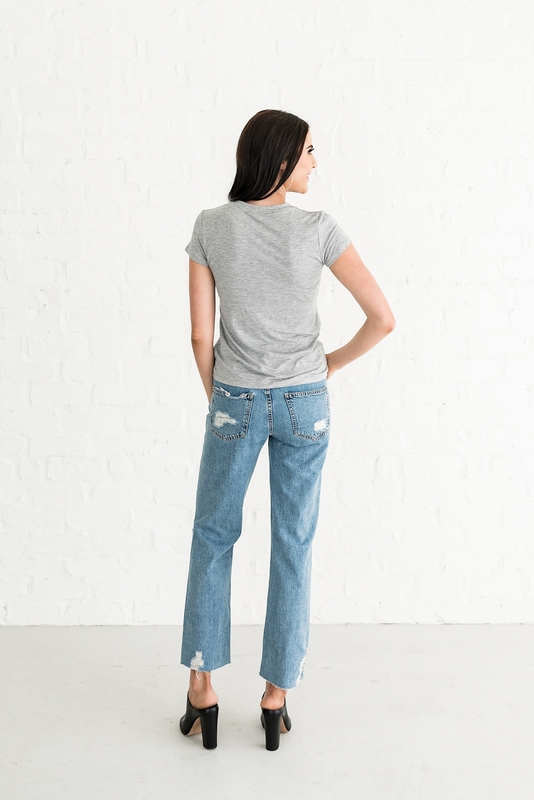 Our Essential Everyday Tee is perfect for wearing alone, with our Uptown Cardi and more! 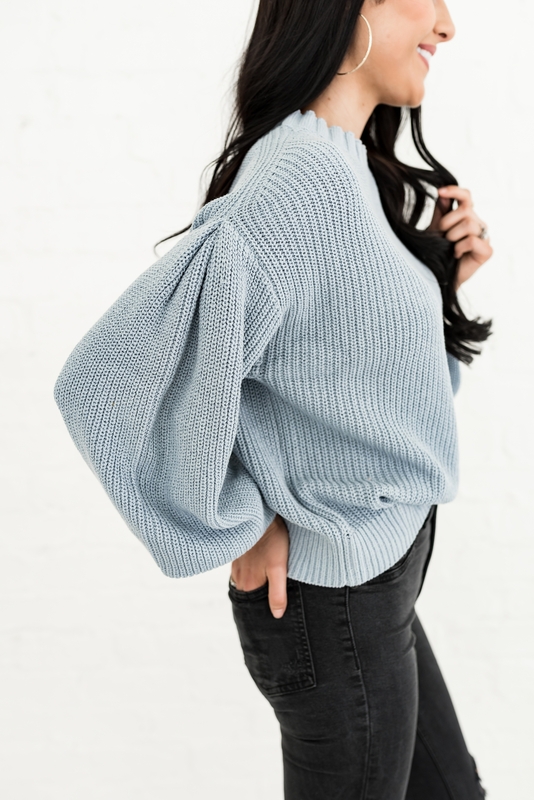 I’m obsessed with the sleeve on the Chic Puff Sleeve Sweater in Dusty Blue and Lavender and the colors are so dreamy. 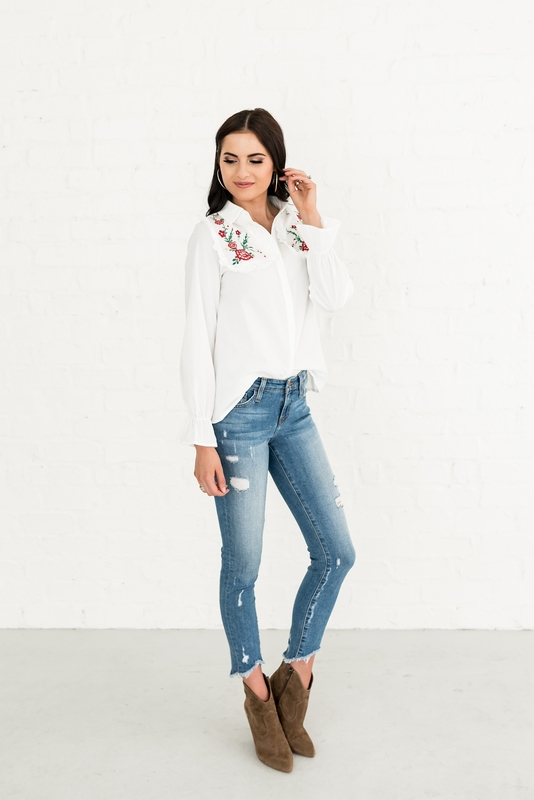 There are so many cute pieces to choose from that are sure to fill your fall wardrobe with fun and flare. 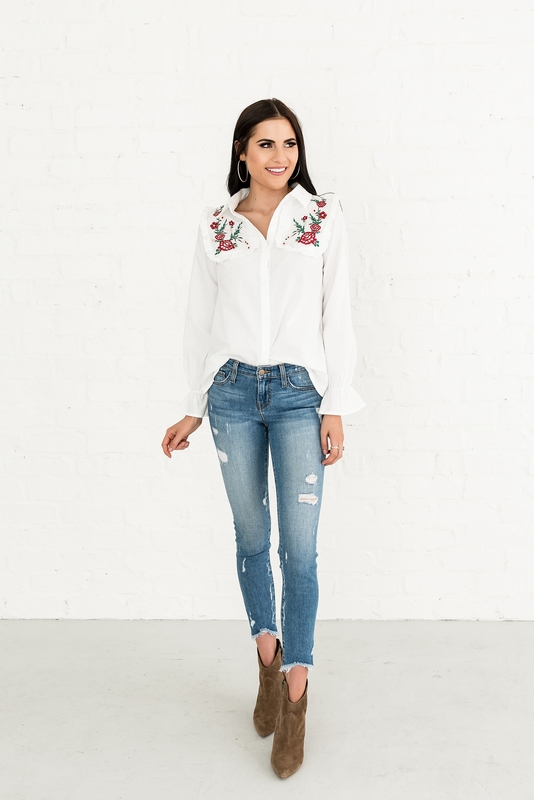 You can shop all of the new arrivals here! Also don’t forget to sign up for our newsletter for early access shopping. Are you excited for fall? Tell me which pieces are your favorite and where you plan to wear them in the comments! Beautiful pieces for Fall transitioning … love ♥️it! ???? 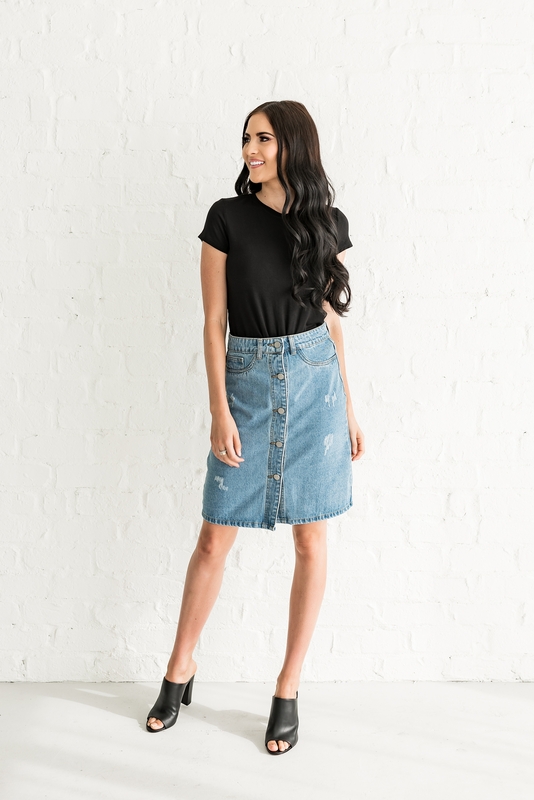 They really are perfect for transitioning your wardrobe from summer to fall! Love!! I’m really loving the sweaters! I’m seriously obsessed with them!! They are so cute and fun for fall! I love the skinny black and white stripes. They look lerfect flr fall and are a nice change from gray. I’m so glad you love them!!! I’m excited for fall and to be able to wear all of these cute pieces!! The grey sweater is my favorite and it looks so cozy! I’m so ready to dress for fall! Me too!! I love that sweater!! It is so cute and isn’t super heavy so it’s a perfect transition piece!! These are great pieces. I especially like the puff sleeve sweaters. 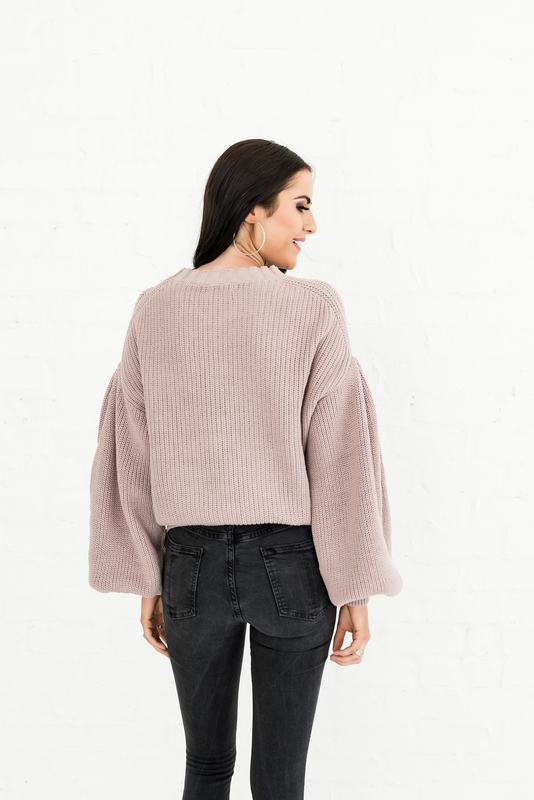 I’m obsessed with the puff sleeves!! They are such a fun look for fall!! Great post! All these looks are gorgeous, and you wear each look beautifully! Thank you so much!! You are so sweet!! I’m glad you love them!! 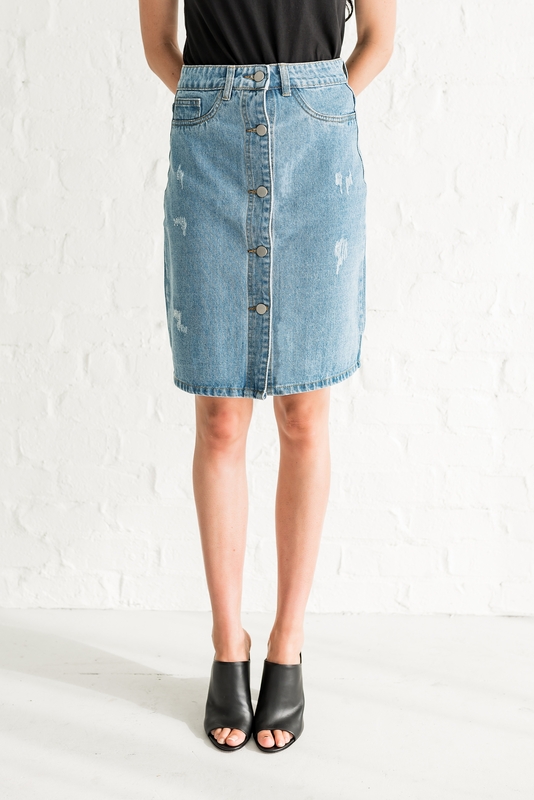 That denim skirt is cute! I love it! It is seriously so cute!! I wore it to a baby shower with the Sandy Skies Top last week and got so many compliments!! 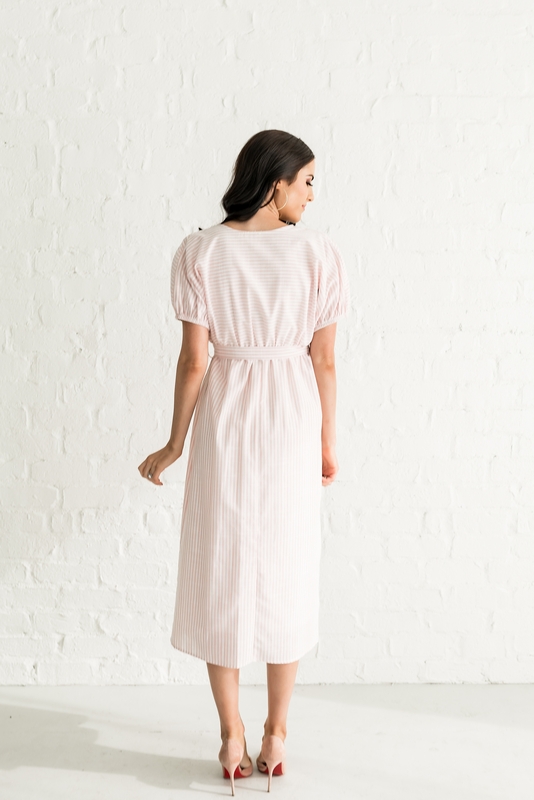 I’m obsessed with that blush colored wrap dress ? It’s so feminine and the color is gorgeous!! 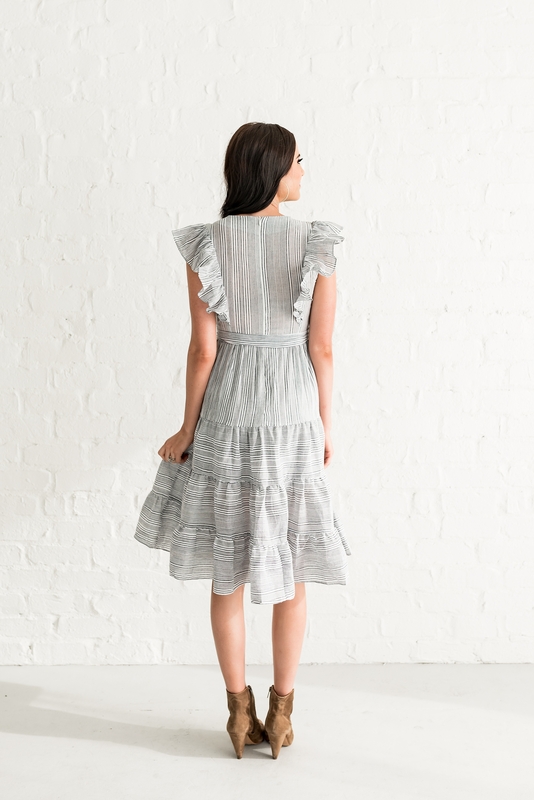 The perfect dress for early fall!! Love the crystal cove dress and the easy living wrap dress. They look so comfortable and yet so elegant! Me too!! The Weekender Top is such a great piece for early fall!! 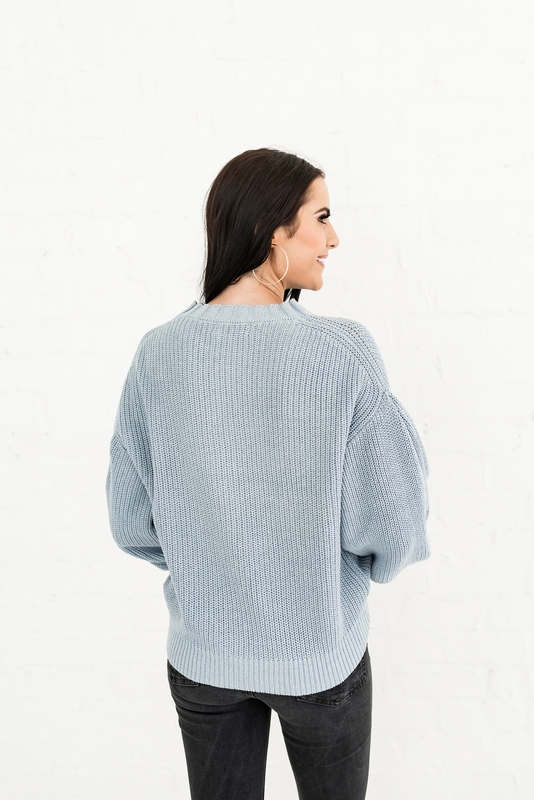 Great pieces, I can’t wait to buy that blue sweater! I saw a maternity photo with a dress i loved on pinterest amd that is what brought me to your page. I am 16 weeks pregnant and looking for stylish maternity clothes. Any suggestions or does your site offer any maternity options?